In this exclusive interview, we talk to "Head of Security" at Redballoon.com, Dexter the Spoodle, who tells us what happens behind the Redballoon office's famous red door, and shares a few tips for aspiring business dogs. Q: Dexter, thank you for taking the time to answer a few questions for our readers, we understand you're a busy dog. I'm sure it's been a long hard road to being top dog in the “Happiness Business”. When did you get your "first big break"? A: June 16, 2009 was the momentous day I started tweeting (@dextersworld). I now have 624 faithful followers clinging onto my every tweet. 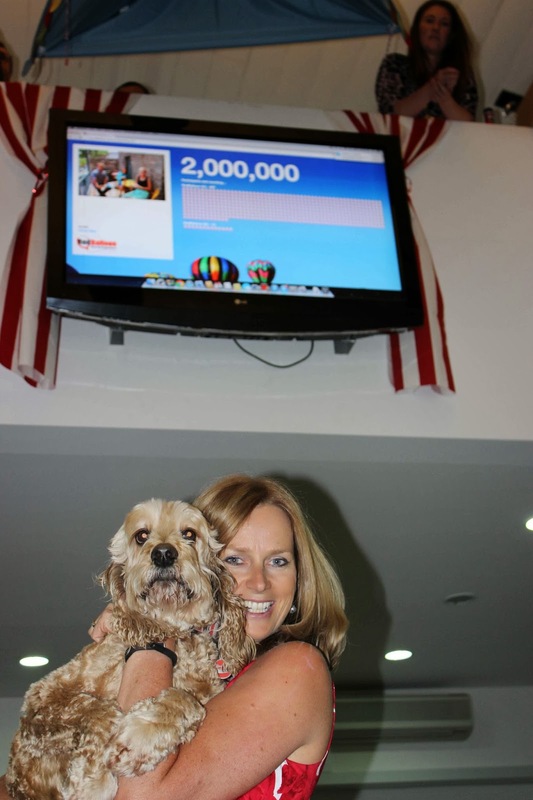 Twitter has opened up lots of doors for me – now every dog can have his or her say! Q: Could you please briefly describe your "typical" day at Redballoon.com.au? 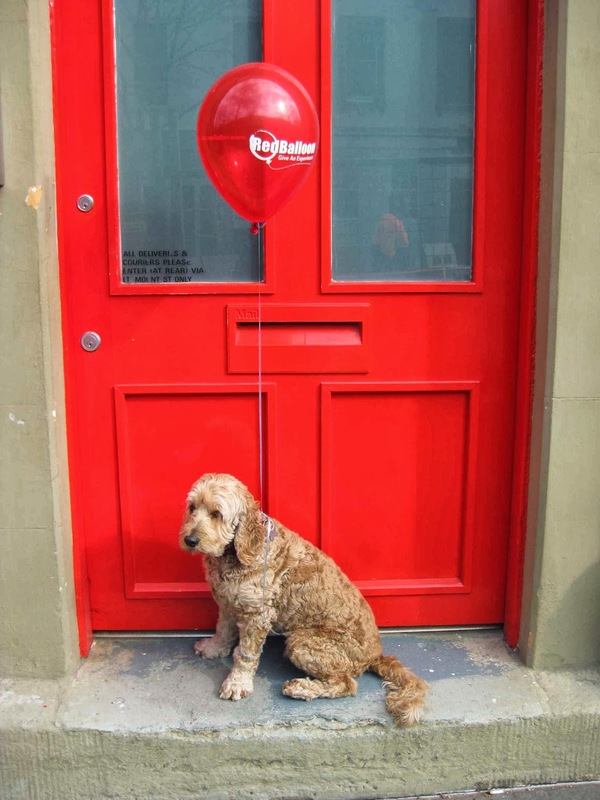 You started as Head of Security – do you still get to bark at intruders or is it all paperwork and staff management now that RedBalloon has grown to over 60 people? A: There’s no such thing as a typical day at RedBalloon, but one thing’s for sure – I take my role as Head of Security very seriously. On any given day I could be looking through rubbish bins for leftovers, working as a human vacuum cleaner in the kitchen, barking at the couriers (I’m just trying to make light chat!) or laying in the sunshine beside Naomi’s desk. Must… not… sleep… on… the… job…. 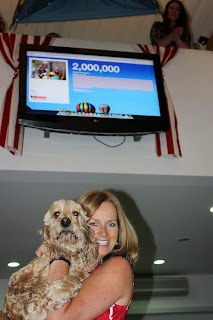 Q: RedBalloon has just achieved its “Big Harry Audacious Goal” of 2 million experience vouchers delivered – How did it feel? Is achieving a long term goal really more satisfying than a roll in something smelly while walking in the park? A: Achieving this BIG Hairy Audacious Goal is something I will always look back on with pride. I was there by Naomi’s side when we started RedBalloon way back in 2001, with $25,000 and a second-hand computer. Naomi has taught me everything I know, including how important it is to think big and dream bigger. Although often my dreams are more about steak than stakeholders. Q: What do you think is likely to be your biggest challenge for RedBalloon in the next 12 months? Don’t expect too many pats. I usually roam the office looking for the odd bit of affection. In December, the humans at RedBalloon are usually too busy to even look at me. And I’m not going to stoop to rubbing myself against their legs like a cat. If you absolutely can’t live without attention, put on a red nose. Humans love a dog dressed up as a reindeer. Don’t ask me why. Don’t use the Christmas tree as a toilet – even though it looks like a tree and it smells like a tree, it’s still not counted as ‘outside’. Tweet a lot. It makes you feel better about not being invited to the Christmas party. Q: Your person, Naomi, seems like a lovely lady, and she’s obviously very passionate about RedBalloon and delivering wonderful experiences to your customers. How do you and Naomi “stay connected” after a hard day at work together? Q: Every successful dog has his “itch”. What’s your itch and how do you scratch it? A: ALMONDS, ALMONDS, ALMONDS, ALMONDS, ALMONDS! Did someone say almonds? I would do just about anything for an almond… and the RedBallooners know it! They use them on a daily basis to bribe me into doing boring things like sit, stay and stop eating out of the bins. Q: And finally, do you have any words of advice for the young dogs (and their people) out there who are just starting their careers as working dogs? A: As Dwight D Eisenhower once said, “What counts is not necessarily the size of the dog in the fight, but the size of the fight in the dog”. One of our values here at RedBalloon is being a little dog with a BIG dog personality! What can you do to make your life extraordinary today?